For many years, black-eyed peas have been eaten on New Year’s Day in hopes of bringing good luck in the coming year. Black-eyed peas are traditionally cooked with ham or salt pork, as the hog symbolizes prosperity. Nowadays, we still cook the black-eyed peas with ham or the ham hock because (many times) we have it left over from our Christmas meal. And a Classic Hoppin John Recipe is one of my favorite ways to eat black-eyed peas. Rice symbolizes wealth and black-eyed peas bring good luck, so eating Hoppin John on New Year’s Day should “fare ye well” in the new year. Hoppin’ John is an inexpensive dish to prepare and is a lovely Leftover Makeover for your Christmas ham and cooked rice. 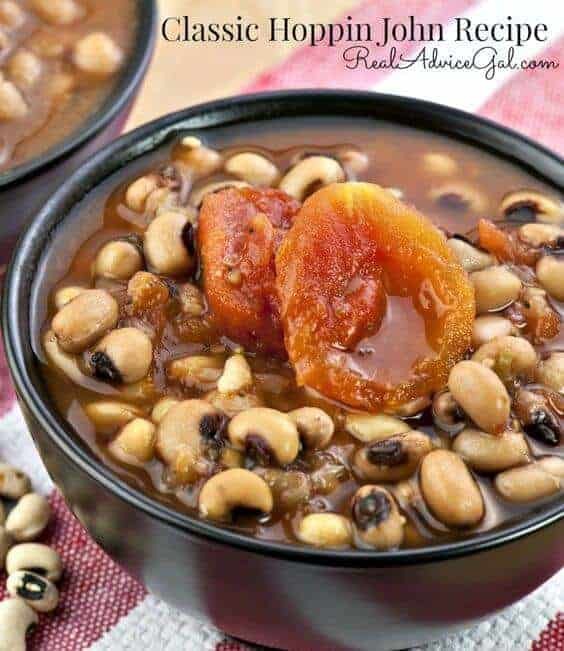 You can use canned black-eyed peas in this dish, but soaking your dried peas overnight and then cooking them with the ham hock will save you money and create a more flavorful dish. Cover the beans with cold water and let them soak overnight. In a large pot over medium heat, add the olive oil, onion, garlic, and ham hock. Cook until the onions are transparent, about 5 minutes. Add the soaked peas and the water; cook, covered, until the peas are tender, about 30 minutes. Remove the ham hock and strain mixture, reserving cooking water for another use. Return cooked peas to pot and fold in the cooked rice. Salt and pepper to taste. (Do not add salt to beans while cooking, as they will be tough.) Stir in parsley and top with chopped ham. Serve with hot sauce. I hope you enjoy this Classic Hoppin John Recipe and have a great New Years! 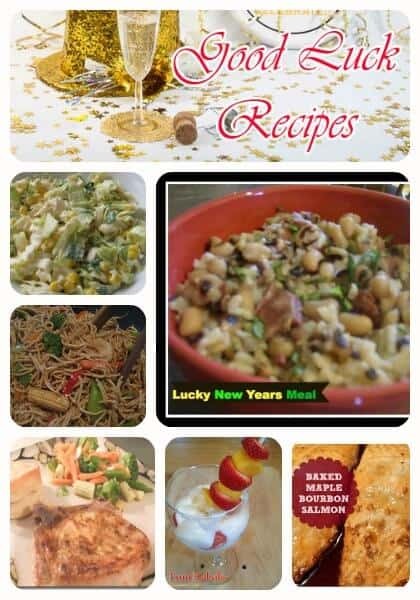 See more New Year Good Luck Recipes and our Low cal new years eve snacks.